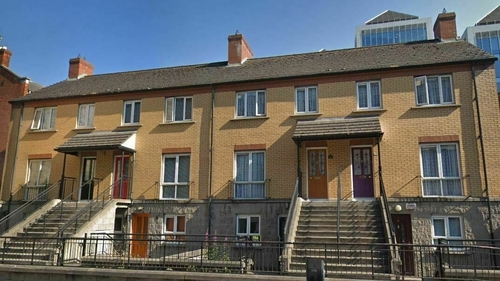 The proposed demolition of eight occupied duplexes in Dublin city centre as part of the Metrolink project has been greeted with surprise by residents. The duplexes on Townsend Street are owned by Dublin City Council and located near Tara Street. Earlier this week, Transport Infrastructure Ireland published the preferred route for Metrolink, which has major implications for residents in the area. The TII is proposing to compulsorily purchase and demolish the College Gate building nearby, which will impact on the duplexes in question. However residents in Townsend Street, some of whom are living there since the early 1990s, were not informed of plans for the demolition of their homes. This morning they received hand delivered letters from TII which says the MetroLink team has been in discussion with the council about the future of the building and the council will be in touch with them shortly to outline the full details. It points out that MetroLink is at a very early stage of planning and it could be several years before work begins. Senator Kevin Humphreys posed questions after the launch of the Metrolink plan this week and said it became apparent to him that residents had not been informed. The Labour Party Senator said residents claimed they were in shock when he visited them this morning. The council has said the houses in question were included in the initial Metrolink presentation last year, but it was unclear if they would be affected by the new line, because the plan was under reconsideration. Deputy Chief Executive Brendan Kenny has pointed out that new line has only been announced in last number of days. Mr Kenny, who has responsibility for housing and community, said the council did not want to alarm people. He added that the tenants on Townsend Street would be "looked after and re-accommodated" and that there is plenty of time for that to happen.